Craftsman has been manufacturing tools since 1927. Therefore it is no wonder this is a well known brand to most American people, especially since the products were sold by one of the biggest retailers in the country, Sears. Recently Craftsman was acquired by Stanley Black and Decker, Craftsman is now for sale at Lowe’s as well as Amazon. 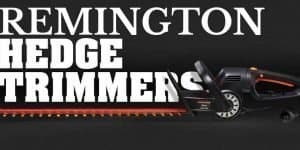 We will take a dive into the hedge trimmers Craftsman has for sale in 2019 as well as take a deeper dive into the company and history. I have lined up all Craftsman hedge trimmers that are being sold today through the major retailers in the country. I looked at each of these models individually and compared their strengths and weaknesses. 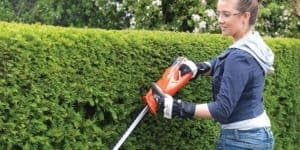 This way you can make an informed decision before you purchase a Craftsman hedge trimmer. Or perhaps you decide to look into other models of trimmers. This trimmer comes with a 4.2 amp motor and a 5/8” cutting capability. It also has dual-action blades and a rear handle that rotates up to 180° for the optimal support and comfort as you work. 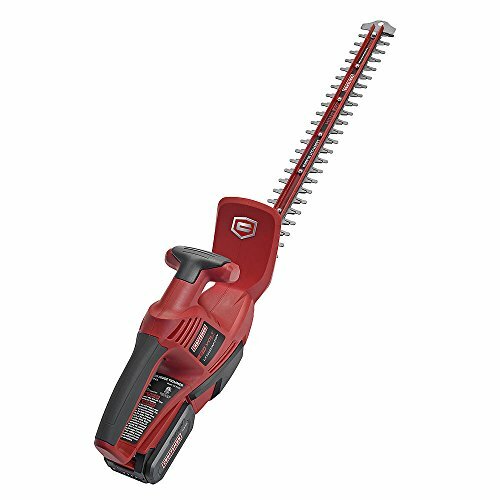 This Craftsman electric hedge trimmer comes with a bubble level to allow you to make sure your cuts are exactly as intended. It also has a safety guard. This trimmer has a 24 volt max lithium ion battery used to power the DC motor. 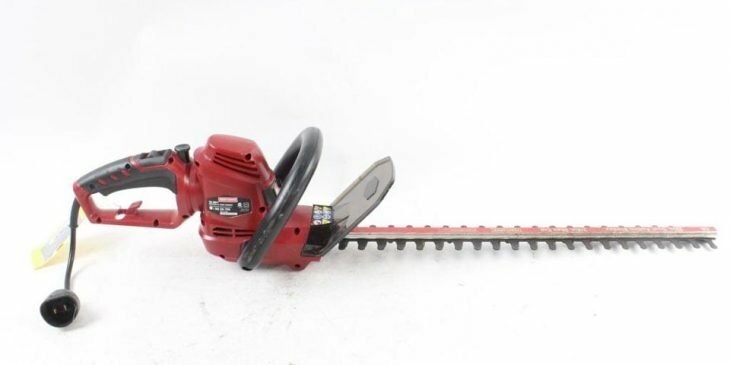 It also comes with a 22” blade with a 9/16” cutting capacity, allowing you to cut through branches with ease. 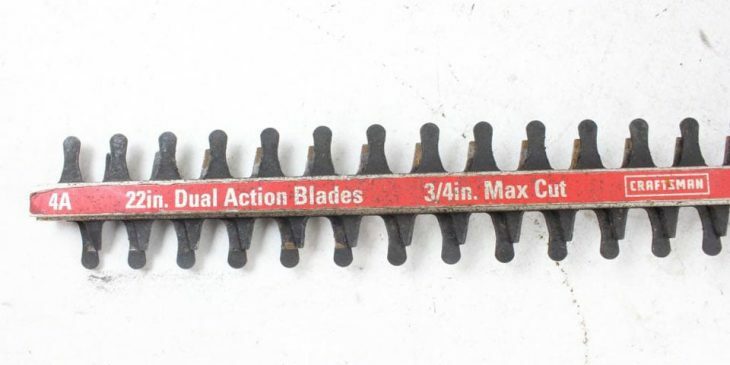 This model also comes with a tip protector to keep the blades safe from wearing. It also has a soft handle made for 2-handed use. 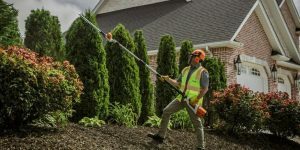 With 24” double-sided blades and a 40-volt battery, this trimmer packs a lot of power into an extremely lightweight design. It has the capability of cutting through branches up to 3/4” thick. 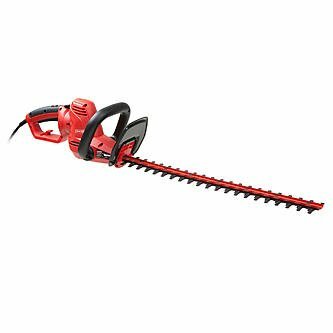 This model weighs only 5.5 lbs., making it much more lightweight than most hedge trimmer models. Craftsman is a hugely popular brand, often known for their wide range of high-quality products. This company has over 80 different categories for around 6,000 different products. It can’t be denied that their stock is simply massive. On top of that, the Craftsman brand is available in almost any store you may go to that supplies tools. That accessibility allows customers looking for all manner of products to find exactly what they are looking for to cover a multitude of different projects and needs. This kind of growth wouldn’t be possible without high-quality products that stand the test of time. Word of mouth is another thing that can make a company great. Great products get people talking in very good ways, and when people are really happy with those products, they tend to recommend them to friends and family. That, in itself, provides more than any television-aired commercial could possibly provide. Craftsman manufactures hand tools such as tool sets, wrenches and pliers to make sure that you are always covered for the little tasks as well as the big jobs. Craftsman is also known for having convenient tool boxes in many sizes to help keep those tools well organized and easy to find. 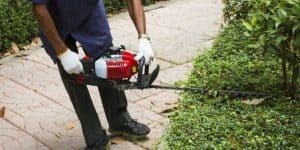 They also carry a number of power tools of both the cordless and corded variety, saw blades, and wet-dry vacuums. These options allow you to choose the tool that is going to work best for you, right down to deciding whether or not you ever need to plug it in. 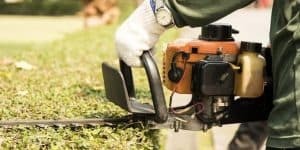 They also supply lawn and garden equipment such as lawn mowers, tractors, gas and electric hedge trimmers, to cover everything from yard care to farm work. Craftsman also has a number of accessories, including Craftsman-labeled apparel, work wear, and more. The Craftsman trademark was created by Sears in 1927, beginning the first sales of its tools in 1929 by appearing in the well-known Sears catalog. 1932 brought the first wrench made from vanadium steel, which made it capable of being thinner and stronger than any other wrench that had come before. In 1953, Craftsman developed its first riding lawn mower, which eventually paved the way to its first electric mower, which used a rechargeable battery for its source of power. 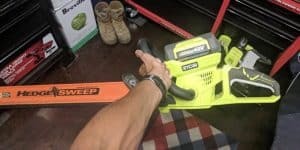 The ability to escape the need for gas or being plugged in is a big step forward for the entire outdoor power tool industry. 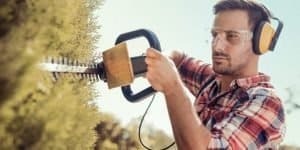 The brand recognizes this trend, and therefore there are no popular craftsman gas hedge trimmers, as the brand doesn’t put any effort into that category anymore. You might be able to pick up a great quality used one though. 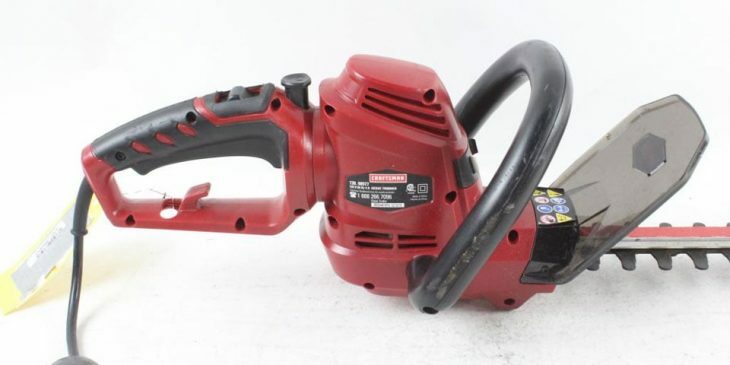 By the time 1984 rolled around, the company had begun making its first electronic portable and bench power tools, and by 2002, Craftsman had been ranked as the No. 1 world-class brand in an Equitrend study. Being No. 1 at the global level is a huge deal, and it takes a lot of hard work to get there. Since that time, the company has only continued to grow and become even more successful. The hard work doesn’t stop for Craftsman, and that is likely to lead to a continue in growth in the future. Craftsman tools today are known to come with a lifetime warranty that is seemingly unlimited. 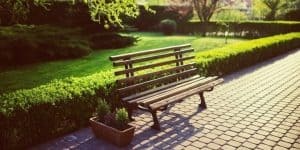 This shows a great belief in their products, and a high level of willingness to make any changes or give refunds for their products that may be needed. In order to support this kind of a warranty, excellent customer service is an absolute requirement. Customers need to feel safe knowing that they can rely on retailers and dealers who sell Craftsman products to provide them with the best that money can buy. They also need to know that should that not be the case for any reason, the issue will be taken care of with the utmost courtesy. Another notable feature of the Craftsman brand is its creation of the “Craftsman Club.” This club is a section of their website you can sign up on in order to discuss the products and what you are doing with them, share what you are working on, to get ideas or solve problems, and also keep up on the personal blog of the brand so that you will always be in the know when something new is happening. This brings together customers from all walks of life who want to show how much they like the brand, and just how useful it can be in a multitude of different ways. It most certainly gives the brand a friendlier community feel.